Another beautiful old church. I am often amazed at the quality of small town churches. 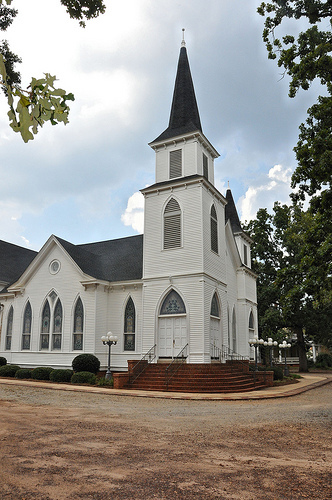 Jimmy Carter did once belong to this church but left sometime before he was elected president and helped found another church after the Plains church refused to admit a black Episcopal priest. I think he still on occasion teaches Sunday school at the newer church.